The following steps will help you set up your camera to shoot perfectly exposed landscape images using graduated ND filters. We recommend working in aperture-priority mode, but you can just as easily shoot in manual mode if you prefer. All you’ll need to do then is charge your batteries and find a stunning landscape location. The first step to sharp landscape shots is to attach your camera to a sturdy tripod and remove the strap to help reduce the effect of the wind. Next, attach a cable release so you don’t have to touch the camera to release the shutter. Manual focusing using Live View is best for landscapes, but you can use the viewfinder, and you should focus one-third of the way into the scene a large depth-of-field. Put your camera into aperture-priority mode and set aperture to around f/16. ISO needs to be set to 100. These settings will ensure a large depth-of-field, and will help to achieve the slowest shutter speed possible to blur moving water in the scene. Finally, select evaluative metering, and make sure white balance is set to Daylight. Attach the filter holder to the end of the lens using the adapter ring. 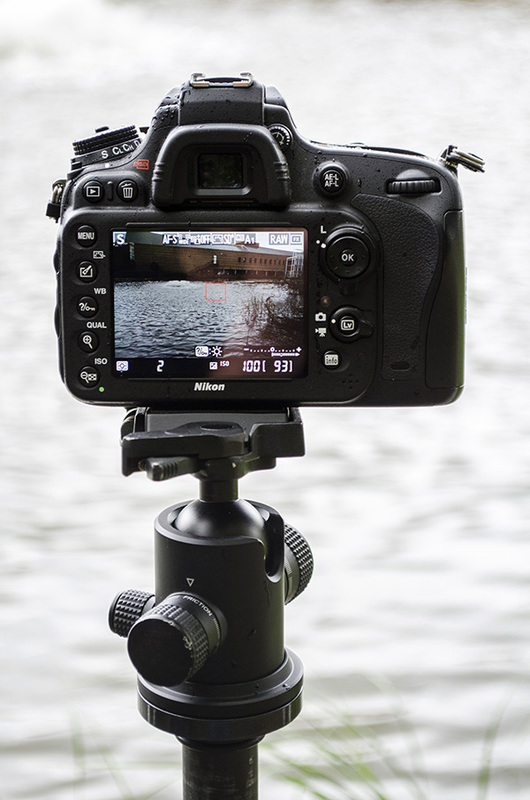 When using a grad to blur water, slot this filter upside down into the holder first – dark half at the bottom. Once this is in place drop in the filters for the sky. When positioning grads you should always look through the viewfinder to ensure their position is correct. Most filter holders have space for three filters, so don’t be afraid to experiment with using more than one at a time. For our main shot, we slotted the 0.6 grad into the holder upside down to reduce exposure in the bottom portion of the frame to help blur the water. The 0.3 and 0.9 were then dropped in from the top to hold detail in the sky. Once you’ve got your camera settings dialled in and you’ve attached a filter, it’s worth firing off a test shot to see how the exposure looks. With evaluative metering set, exposure will still look overexposed in places. This is simply because the camera will be reading light from all areas of the frame, taking into account the reduction in light due to the filters. To get around this problem, simply adjust exposure compensation to -1 or -2 and try another shot. Adjust further if necessary. Alternatively, you could shoot in manual, and set shutter speed and aperture before the filters are put in place.